Given the vast complexities and sensitive nature of Obstetrics, it should be no surprise to anyone that malpractice litigation in this specialty ranks highest in average indemnity paid according to a recent industry information. Fortunately it is common for healthcare providers to implement proactive patient safety initiatives as a way to prevent the adverse events that can often lead to significant financial losses. Unfortunately, often times the positive impact of these initiatives are short lived. Together with Dr. Henry Lerner, The Sullivan Group built a comprehensive and sustainable patient safety solution for Obstetrics. 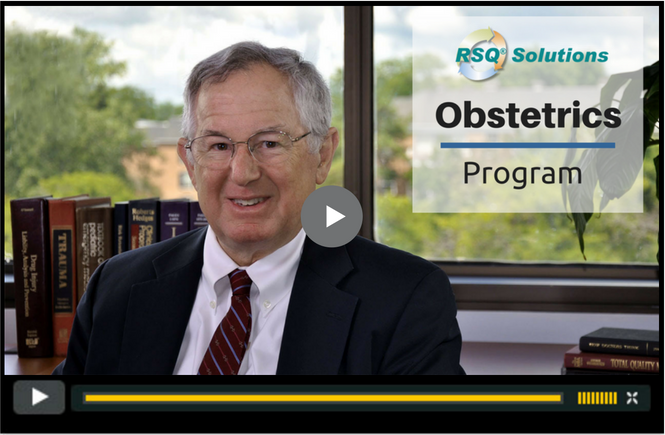 The RSQ® Solutions - Obstetrics Program provides healthcare organizations with a system solution to improve clinical performance, increase patient safety, and reduce malpractice litigation.